Dave Smit (left) shakes hands with Finance Advice Group’s Managing Director Matt Cassar following the launch of the company’s second Finance Advice Centre outlet in Ilkeston. Two Ilkeston mortgage advisers say they feel like they have come home after setting up in business together in the town. 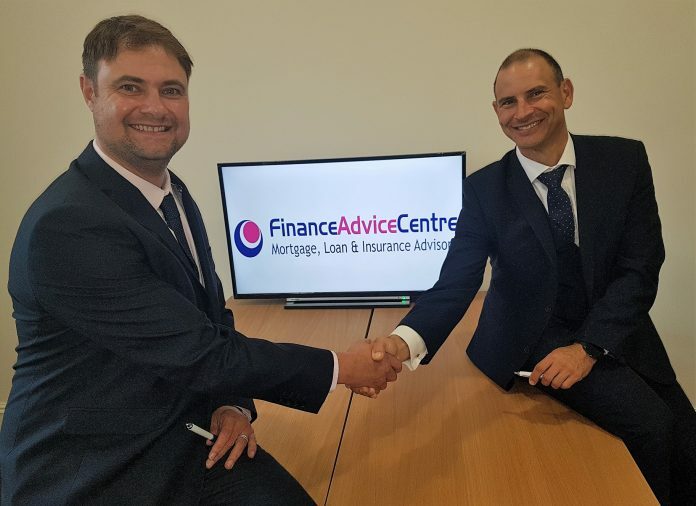 Business partners Dan Law and Dave Smit both grew up in the town and have now returned to open their own branch of UK mortgage advisers Finance Advice Centre. Based at the old police station, in Wharncliffe Road, Finance Advice Centre was founded in 2014 by former Derbyshire cricketer Matt Cassar, who also has strong roots in Ilkeston, having settled in the town after moving from his native Australia in 1993. He played alongside Dan and Dave at Ilkeston and Rutland Cricket Club before earning himself a professional contract with Derbyshire the following year. Dave says: “Both Dan and I are from Ilkeston so we’re both thrilled to be setting up in business in the town and are looking forward to putting our local knowledge to good use. Ilkeston’s Finance Advice Centre is part of the Finance Advice Group, which serves customers from across the UK and operates two other Centres, in Nottingham and at its head office in Derby. Matt Cassar said: “I’m delighted that Dave and Dan have agreed to set up a Finance Advice Centre franchise in Ilkeston. It is the second franchise in our group and it has hit the ground running, thanks to their expertise and local knowledge. “All three of us have strong Ilkeston connections and we recognise that the town is showing great potential due to the new railway station and plans for new housing in the area.